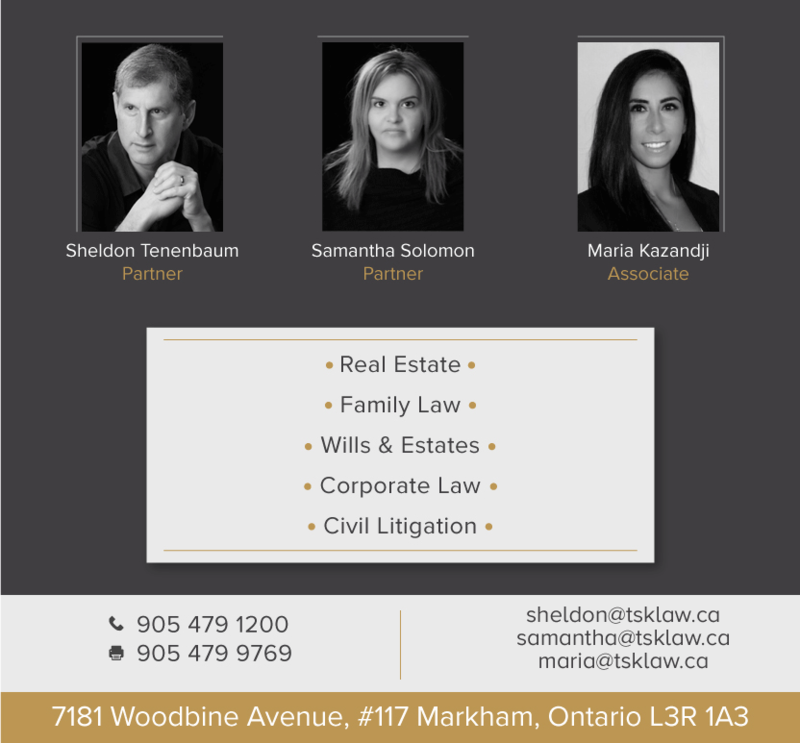 A Team You Can Trust Located in Markham, Ontario, Tenenbaum and Solomon commonly provides legal services in real estate, family law, wills and estates, civil litigation and business transactions to small businesses and private individuals located in Markham, Richmond Hill, Stouffville, North Toronto and Vaughan. Our offices are wheelchair accessible with ample free parking. Our practice emphasizes lawyer-client contact and we strive to provide the value for your dollar demanded by clients of modest means. Our staff can assist clients speaking Mandarin, Arabic, and Cantonese. Tenenbaum and Solomon’s experienced legal team is committed to excellence both in and outside the courtroom. Whatever your problem, we will work towards a budget for our services or refer you to other lawyers and professionals. We work with a chartered accountant in our offices and many other lawyers and professionals in walking distance from our office. Our attention to detail and proven track record have earned us the loyalty of our clients and a position as a preferred firm in the GTA. Tenenbaum and Solomon. Your partners in excellence. Contact our team today for a no obligation conversation about your matter.